The Jet Press 720S produces print quality that is inspirational for printers and print buyers alike. Here’s how it does it..
Quality starts in the workflow, with XMF providing an intelligent job queue controlling the imposition, workflow automation, and all aspects of colour management automatically. No need to adjust colour settings, with 100% colour registration possible on the first printed sheet. The Jet Press 720S also takes advantage of unique Fujifilm FM screening algorithms which eliminate moiré and produce ultra-smooth tints. The state-of-the-art SAMBA™ print bars in the Jet Press 720S are fabricated using precision MEMS technology and can achieve 1,200 x 1,200 dpi native resolutions. However, thanks to the fact that the ink droplets can be reproduced in four levels of greyscale, the actual quality resolution is much higher. The Jet Press 720S features a new generation of printhead technology, with each B2 width print bar built up of 17 individually replaceable modular printheads, each with 2,048 nozzles. This equates to 34,816 nozzles per bar, with each nozzle activated at a discharge frequency of up 100 kHz, depositing droplet sizes down to 2pl. The SAMBA™ print bar also takes advantage of unique VersaDrop™ technology, allowing the size and shape of each ink drop to be precisely controlled and placed on the paper, resulting in unbelievably fine lines and text. Quality is nothing without consistency. Because the Jet Press 720S makes use of an offset paper feed mechanism, which adjusts automatically when the paper size is selected, registration accuracy is superb. This removes one of the limitations of current digital printing systems, where the tolerance from sheet-to-sheet sometimes limits the jobs that can be run. With the Jet Press 720S, the registration and repeatability from sheet–to-sheet are second to none. 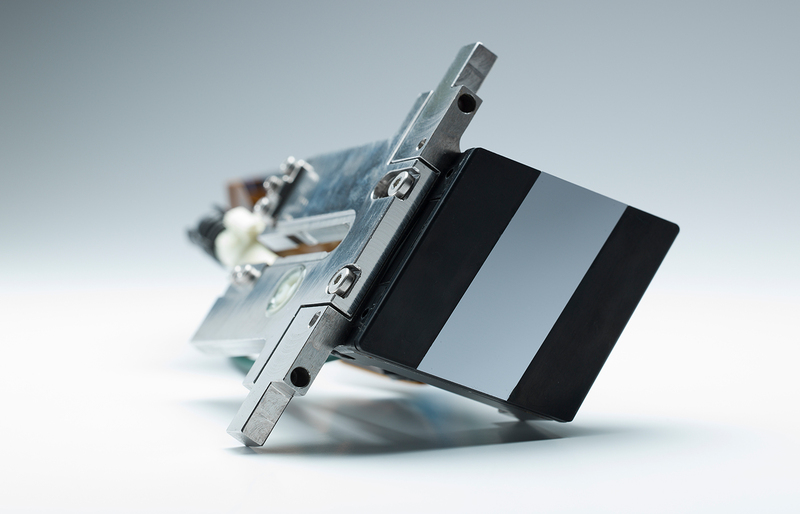 The performance of the ink through the printhead onto the printed sheet is critical to delivering benchmark quality. So Fujifilm scientists made use of the company’s advanced chemical technologies to develop a new water-based ink. The result is VIVIDIA – a new range of high performance CMYK ink colours that have each been painstakingly developed to match the SAMBA™ printheads and achieve the best performance on the widest range of standard offset papers. Ink grains as small as 0.5 trillionths of a litre, invisible to the naked eye, are discharged at high speed to deliver breathtaking print quality. In the Jet Press 720S, these inks have been refined even further, optimising the combined performance criteria of quality, drying and ink rub-off from sheet to sheet. To counter the natural tendency of an ink droplet to spread when it hits the paper and ensure uniform ink formation whatever the paper type, the Jet Press 720S applies a Rapid Coagulation Primer (RCP) prior to ink deposition via an anilox roller. The RCP features unique “anti-curling” and “rapid coagulation ink” technologies which prevent paper curl and dot gain and are a critical component in the formation of a high quality image. Quality is further enhanced through the use of a CCD sensor which scans every sheet and makes any necessary alterations to the way the ink is discharged from the printhead in real time. The proprietary In-Line Sensor (ILS) system detects any nozzle and ink deposition inconsistencies, modifying the printhead nozzle map and ink deposition parameters in real time to correct deviations from the norm. In the Jet Press 720S, this system is now mounted immediately after the print bars, enabling the ILS to make any necessary adjustments sheet by sheet.